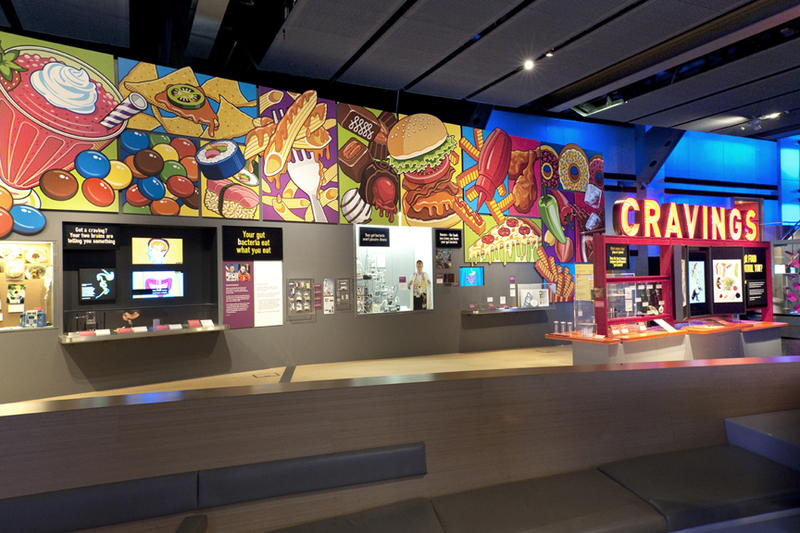 Ron Magnes was contacted by the London Science Museum to create artwork for their Cravings exhibit. 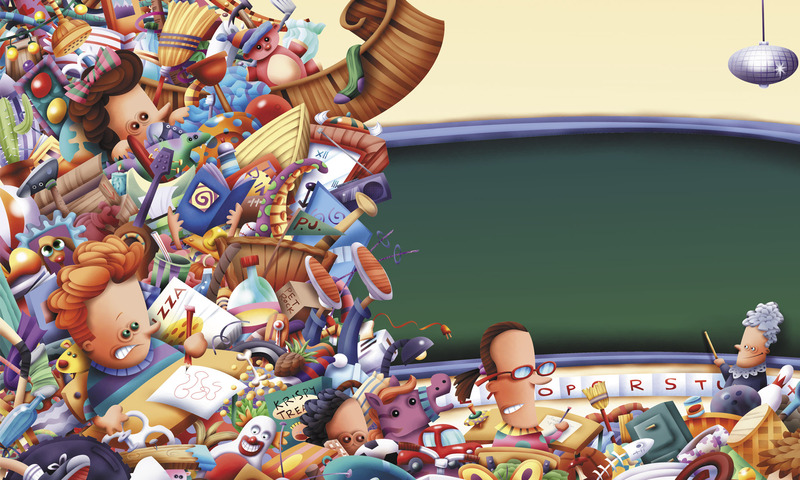 The display consists of (22) individual illustrations to form a coherent exhibit mural. This is the main exhibit standing in the central area of the Science Museum. The BBC Morning Show did an on-site exclusive the day before the opening. 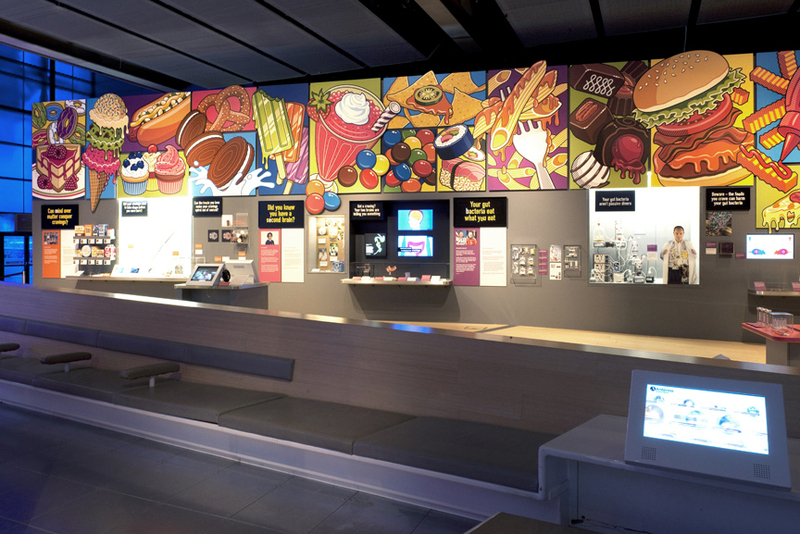 This new exhibition explores what influences our appetite and cravings. The exhibition is 66.5 feet long by 15 feet high. The first two pictures are photos of the mural and I added Ron’s art to show the true vibrant colors! A new sample art page by Larry Jones that was sent to prospective clients. A mixture of old and new but featuring Larry’s retro style. Check his portfolio for more examples! The first day of spring and light snow is in the air! 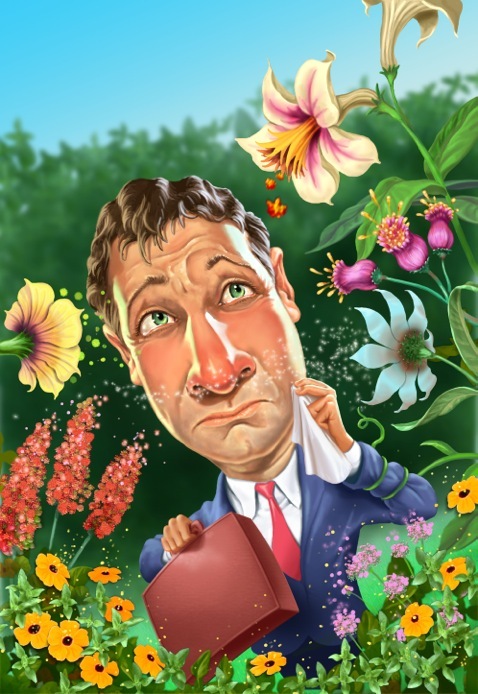 Allergy season is right around the corner – that is if we ever see spring! 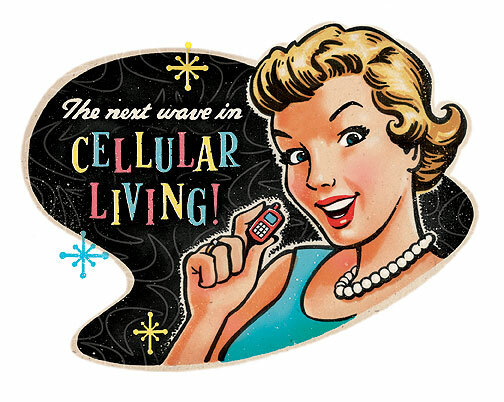 A nice allergy related image by John Walker – check his portfolio for more great images! George Schill was commissioned to create apple characters for a packaging project. 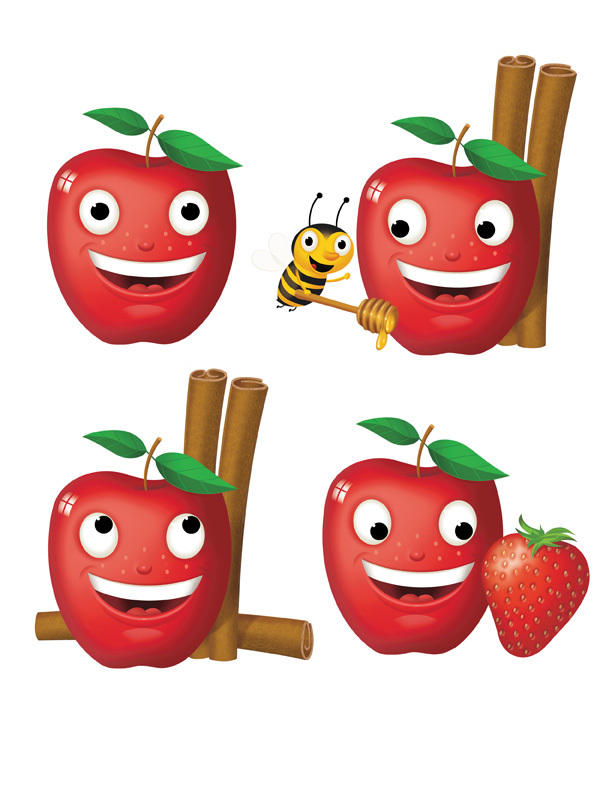 The characters were used for applesauce flavors – Musselman’s Squeezing Packaging For Kids – look for them in your local supermarket! 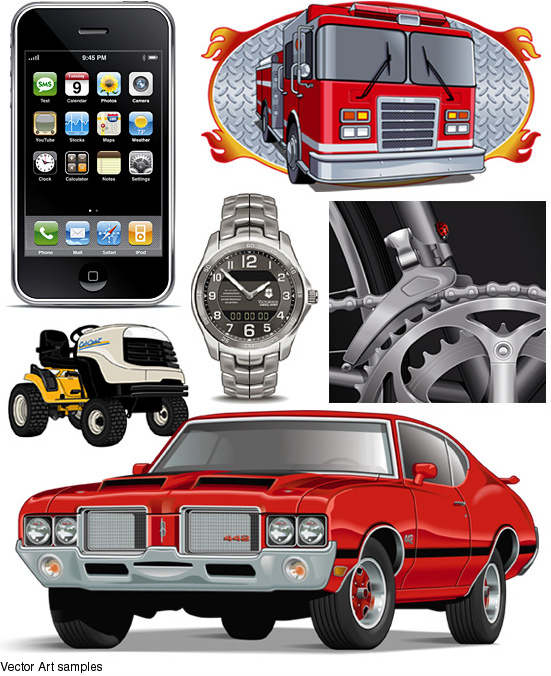 A great sample page of vector art by Ron Magnes. 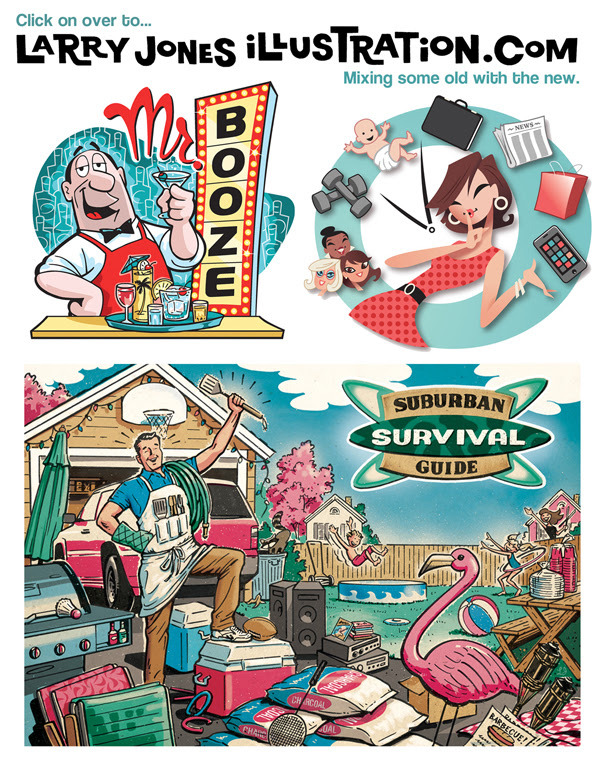 This is a selection of client assignments that Ron has illustrated. 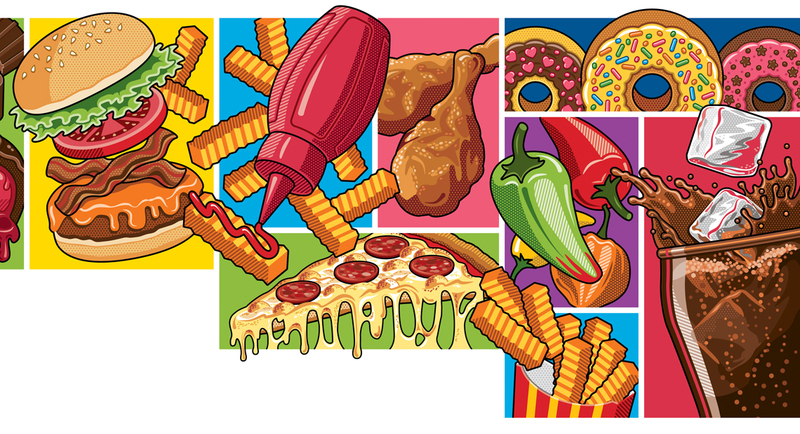 There are times when a client needs info graphics for products and are interested in realism. Other samples can be seen in his portfolio.